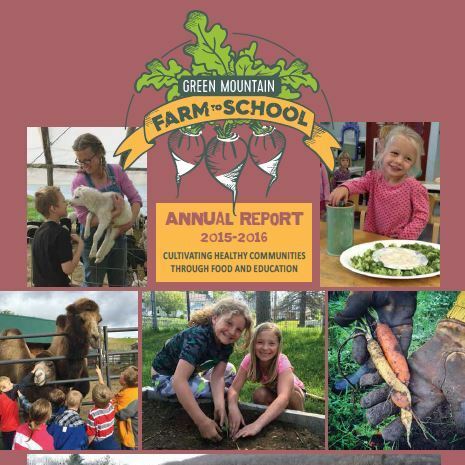 By Hayly Hoch, AmeriCorps Farm-to-School Coordinator. 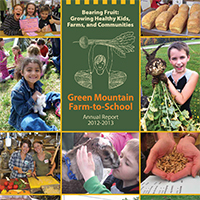 Learn more about AmeriCorps and GMFTS here. “But what do you do in the winter?” It’s a question I have received countless times after I proudly exclaim that I’m serving as an AmeriCorps Farm-to-School Coordinator in the Northeast Kingdom of Vermont. 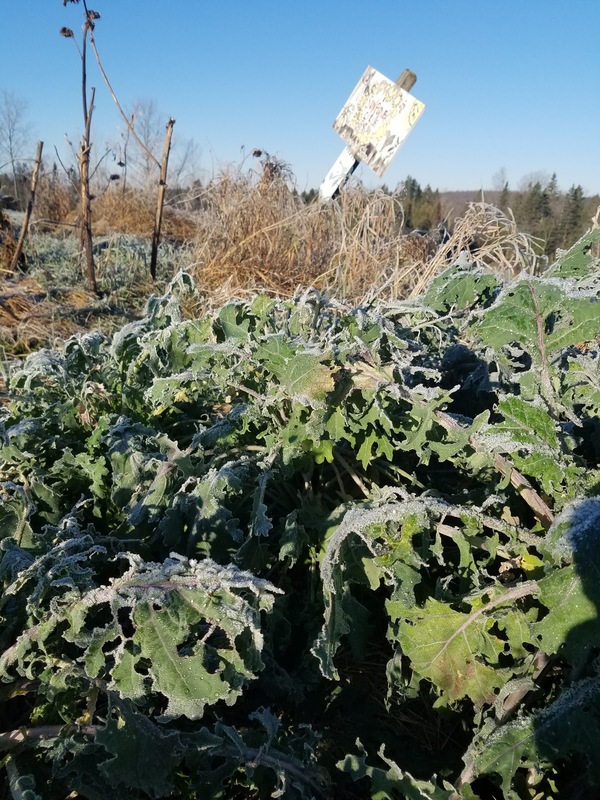 It’s an entirely valid question considering the center-point of farm-to-school programming – the school garden – lies under snow for nearly six months of the year. 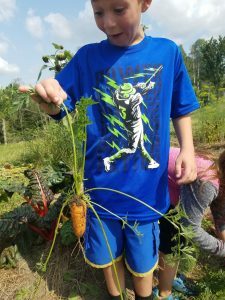 The classic image of a Farm-to-School Coordinator is one in which educator and students are kneeling shoulder to shoulder over a school garden bed with pure joy radiating from their smiles as fresh carrots are triumphantly ripped out of the ground. 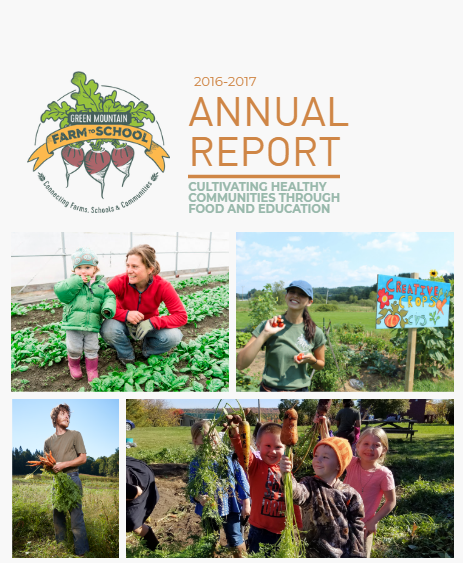 This wonder-filled experience is certainly a highlight of the harvest season in a school garden, but there are eight months out of the year when Farm-to-School Coordinators in the northeast don’t have access to the school garden. 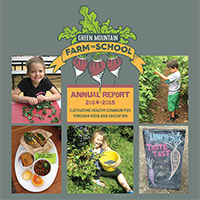 Does that mean that the hands-on learning around where our food comes from fades between November and May? Despite snow on the ground, I’m busier than ever teaching about the roles that food and agriculture play in building a stronger community. 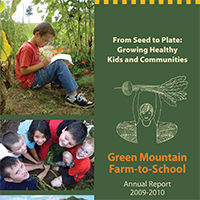 Beyond learning how to grow food, Farm-to-School programming includes any topics related to wellness and healthful eating, stewardship of the earth’s resources and ecosystems, nutrition and cooking, the cultural significance of food, the economic importance of agriculture, local and global food systems, and supply chain sustainability. 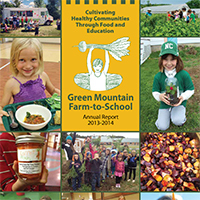 That means that K through 8 students can participate in a wealth of Farm-to-School learning opportunities in both the classroom and the cafeteria year-round. 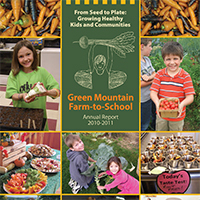 So, do you need a garden or a farm to successfully teach Farm-to-School programming? Definitely not! 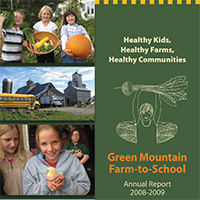 This week alone I practiced cooking skills with first graders at Brownington Central School; learned about the people who help our food to our plates in the Miller’s Run After School Program; experimented with plant-based breakfast recipes during a fifth and sixth grade health class at Lowell Graded School; learned about cow anatomy and important Vermont dairy products with Kindergarteners; explored soil health and the importance of composting food waste at Irasburg Village School; and wrapped up planning a field trip to a local sugar bush for six classes in honor of this month’s Harvest of the Month feature- maple! 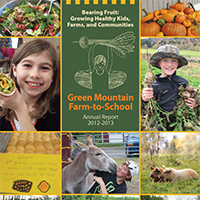 Clearly, winter is packed full of Farm-to-School learning even though our school gardens sleep under the snow. While our students are itching for the chance to get their hands dirty come spring, we can use the season in between to learn a little bit- actually, a lot- along the way! 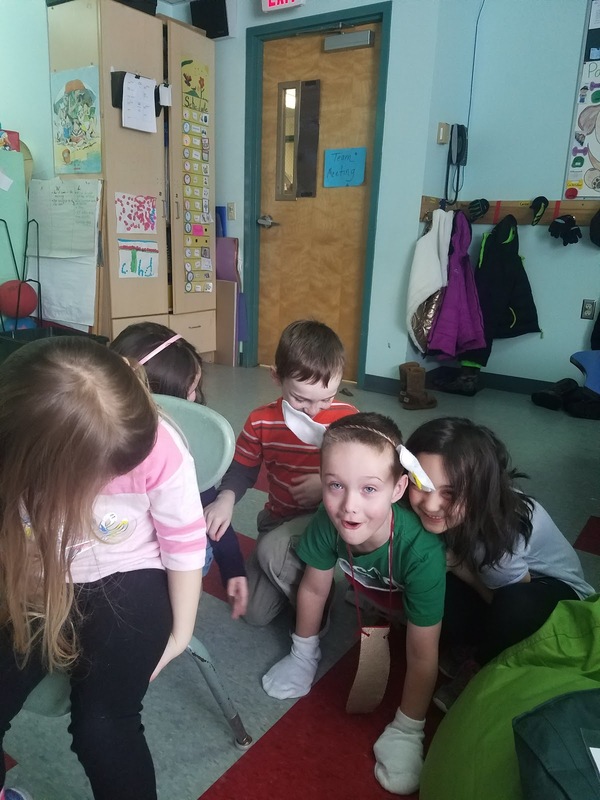 Kindergarten students learn about the anatomy of a cow by playing dress-up in our Farm Animals unit! 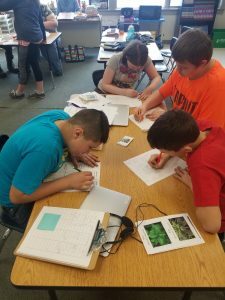 Students daydream about our school garden by planning out garden beds and companion plant pairings! 2nd graders at Brownington Central School exemplify the glee of spending an afternoon in the school garden during peak harvest season. 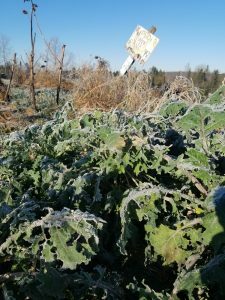 A frosty school garden is put to bed in November. 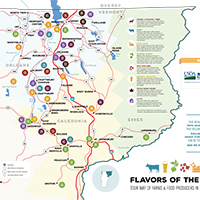 Sounds like you are doing great things in Vermont! Looking forward to hearing more stories!